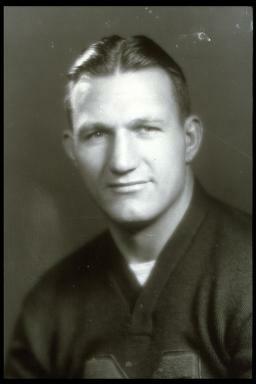 The third of the All-American Wistert brothers was one of the oldest men ever to play college football at 32 after four years in the U.S. Marine Corps. His career was even more remarkable since he did not play high school athletics but worked as a salesman until World War II. He determined, however, to follow his brothers' footsteps and after a year at Boston University, he entered Michigan to win a defensive berth at age 31 in 1947, and then became an All-American in 1948 and 1949. He entered the insurance business and later became a successful manufacturer's representative.